I want to start by saying that I am not a dermatologist or an aesthetician or any skin expert of any kind. I have tried various products, brands, and medications. This is the routine that works for me and that has shown me the most consistent results for my skin. Everyone is different with different skincare needs, so just take this as a suggestion or a starting place to find your perfect routine. So here's what I used - you can buy everything from SOKO GLAM (not sponsored, just love their website), and I've linked things throughout the post - just click the image or underlined links to shop the products! Use this LINK to get 20% off your first order! I only use this oil cleanser when I have makeup on my face. I've always hated using makeup wipes because they leave my face feeling so oily and I felt like they never really took off all of the makeup. So I'm very happy I found Clean It Zero. It takes the makeup off so well and actually leaves my face feeling fresh and ready for step 2. They've recently updated the formula, so I can't wait to try once I run out of my current jar. I struggle with hormonal acne, so I love this green tea cleanser. I love the foaminess, and I love how clean my skin feels after using it. I keep one bottle in my shower and one bottle at my sink, so I can always have it to wash my face. I shower in fairly cold water, so I think it's ok to wash my face in the shower. If you shower in super hot water, I would steer clear of washing your face in the shower (or so I've heard). My understanding is that it can open your pores too much and leave matters worse. But, again, I'm no expert. My skin is too sensitive for chemical exfoliators. I had heard good things about Glossier's "Solution" and the reviews were outstanding. I tried it... my face broke out in hives... It also typically gets really itchy whenever I try a chemical exfoliator, so I stick to physical exfoliators, like these NEOGEN exfoliating pads. I only exfoliate every other day or every two days. I also avoid exfoliating when I am having a breakout. I've tried all three of these pads (love NEOGEN products in general) and they all do the same thing for me, so I just rotate which one I buy every time I run out. And another fun thing about these exfoliating pads is that you can peel off the label and use the acrylic containers for other items. I've turned one into a hair tie/bobby pin container and another holds all of my bathroom tools - nail clippers, tweezers, etc. This is the step I was missing, that may have been the game changer. I don't really know, because I started using all K-Beauty products at the same time so it might be a combination of everything. I love the MISSHA brand moisturizer (found later in this post), so I decided to try their mini pore toner, and I love how it makes my face feel. It tightens your pores to make them look smaller, it gets rid of that last bit of grime, and it has helped diminish all the little whiteheads I get on my nose. Serums have helped my pigmentation and scarring SO much. I wish I had better before and after pictures. I spent 4 months in the sun while I lived in Cambodia, and that made my acne scars so much darker and worse. 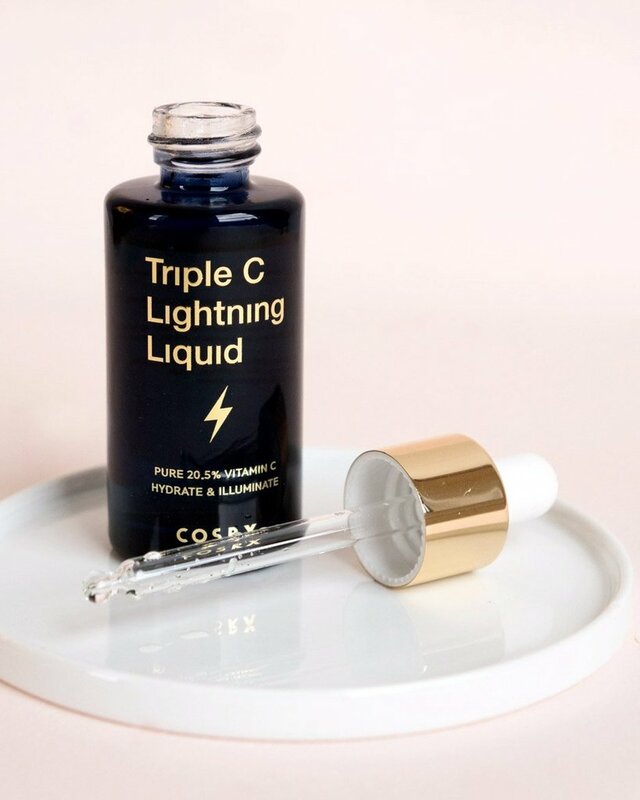 After using this Triple C Lightning Liquid serum for a couple of months, a lot of my scarring faded. It sells out really fast online, so grab it whenever you see it available. It goes on so smooth and you can wear it under your moisturizer and makeup for the day. I put it on two times a day - morning and night. 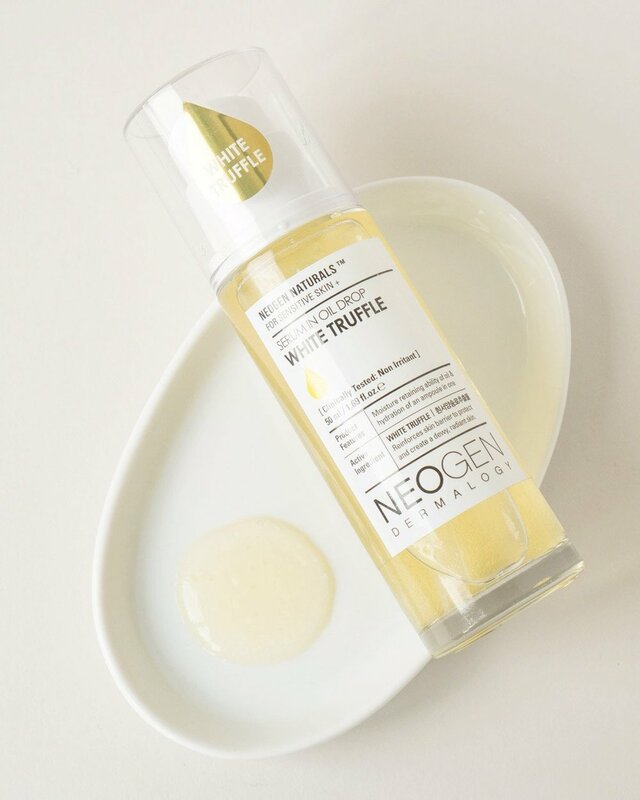 Another serum / oil I like using is this NEOGEN White Truffle Serum (a full sized freebie during Black Friday - I think). I use this when I'm extra dry and I think it works wonders. My skin tends to crack around the eyes and nose during the winter time (even in Texas), so this helps a lot in combination with the moisturizer. This stuff smells sooooo good and it feels amazing on your skin. I am SUPER picky about my moisturizers because I prefer a matte finish and really don't like ones that have an oily finish or shine to it. This MISSHA Cell Renew Snail Cream one is perfect and really makes my face feel hydrated and plump (in a good, non bloated way haha). My friends make fun of me for all my snail cream, snail mucus skincare products, but I swear by this moisturizer, especially during the winter time. This is a step I avoided for WAY too long. I typically HATE the feeling of sunscreen on my face or anywhere on my body, but as I've gotten older I realize the importance of wearing SPF, especially on my face. I tried one made by NEOGEN, one of my favorite brands, and I love how it feels. It's not oily or thick; it doesn't leave a weird residue and you can apply makeup over it easily. So that's it - well it's kind of a lot, but it's so worth it and each item is affordable if you don't feel like doing all of the steps. The products don't come in little tiny bottles, so they last quite some time; customer service is amazing; the results are incredible; and you typically get free sample or even full sized gifts upon checkout. I have actually discovered a few additional items I use time to time, like masks and extra moisturizing serums, through their freebies (like the white truffle serum). I'll do a separate post on additional skincare products I use, but this post is to focus on Sokoglam and all of their glory. Ok - your turn! Start shopping and changing the way your skin looks today! Don't forget to use this link to get 20% off your first order! Thanks for reading! I hope this helps!